Even though Microwave and Vacuum are not compatible, the combined effect of the two can be exploited to our advantage with special care taken to avoid accidental failures of the system. 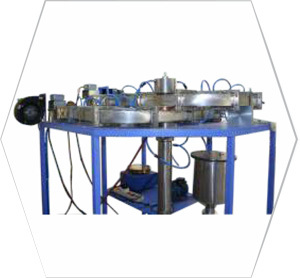 In most cases, the vacuum is used for evacuation of the processing chamber / applicator. However, in some special applications, it is a technical requirement during processing. Enerzi specializes in designing and developing state of the art Microwave Systems which work with Vacuum levels of 100 torr to 0.001 torr. Nano-powder synthesis can be achieved through several means and using Plasma for this process has been a latest development. Amongst this, further, Microwave Plasma route for Nano-powder synthesis is very nascent and encouraging. Microwave Plasma Systems are very unique in the context that they use lesser power and generate a more effective plasma zone for nano-powder synthesis. There is considerable work done on this subject to establish that the end products (nano-powders) arising out of this method are much better in quality and the yield is far better as compared to other methods. Enerzi is proud to have developed these systems for Research and Development establishments and for educational institutes. Sintering of Powder Metals is not a new science to the world. 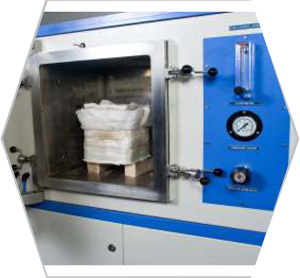 However sintering of powder metals using microwave technology is indeed a new development. 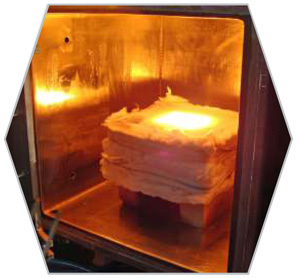 Research establishments around the world have done substantial work in the area of Microwave Sintering of Powder Metals and proven that it has its unique advantages. We have been successful at Enerzi in demonstrating the process and have built several furnaces to suit the requirements of different customers. Defense labs are one of the key users of this technology. Sintering of various samples in a Single mode Microwave applicator is not only very interesting but also challenging for various reasons. Basically it can also be referred to as the Process of heating materials inside the “Waveguide”. In fact, Enerzi has developed over the years an in-depth study of the science of Microwave Heating and its various behavior patterns. 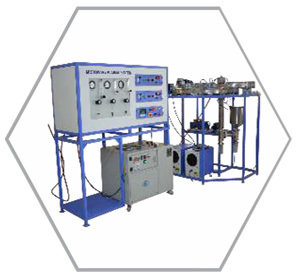 It can design and develop state of the art Single Mode Microwave Sintering Applicators. 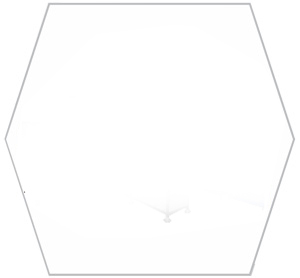 In most cases, the application is to study material properties. However, it does not restrict us from exploiting the advantages of Single Mode system for other applications like welding, joining and sintering of metals and ceramics. Waste materials have become the bane of every town today. Waste exists in many forms including Sludge, Solid Waste, Medical Waste, E-waste and many more. Most of these waste materials can be effectively processed through the use of microwave energy. Using microwave energy for these processes gives the process multiple advantages. Enerzi has been working rigorously in developing processes and technologies to recycle waste into some useful form. Sludge, Rubber and Biomass Waste have been the key materials on which the process have been demonstrated. The results seen from the study so far suggest that Microwave heating has a lot of significant advantages for waste processing over other methods. Glass Melting/Glass Making is an energy intensive process as high temperatures are involved. It is a high volume industry around the world. Microwave Technology in combination with conventional resistance heaters has been developed by us and tested in co-operation of Central Glass and Ceramics Research Institute (CGCRI), Kolkata. There has been a significant amount of work in different parts of the world to demonstrate that Microwave Heating can be effectively used to melt glass in large quantities at industrial scale. The efficiency of Microwave Heating makes it an excellent replacement for the current energy intense heating methods. 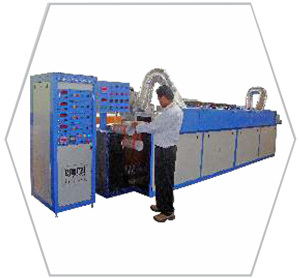 Microwave Glass Melting also offers a large number of operational benefits too. Enerzi has designed and developed a state of the art microwave Coke making furnace for converting Coal into Coke. This furnace though very similar to any of our high temperature microwave furnaces of pusher type design, it integrates some of the very unique features suitable for Coke making. The system can process about 25 kg coke per hour and is a lab scale demonstration system. It is observed that microwave based process for making coke results in a superior quality of coke. This technology is in its infancy and there is a significant scope for development. 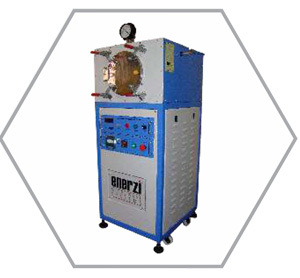 Enerzi offers a wide range of Continuous Microwave Systems for curing of Resin Bonded Abrasive wheels. These wheels require a very slow curing cycle in conventional curing ovens because the material is a poor conductor of heat. Microwave offers a distinct advantage of bulk heating of the wheels and thereby reducing the curing cycle times by order of magnitude. 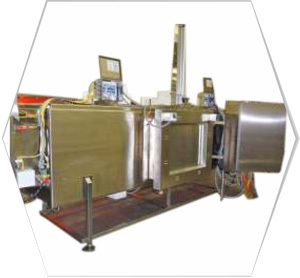 The Continuous Microwave Systems can be custom designed to suit the process requirements for the production scale. On one side we at Enerzi strive continually to strengthen ourselves in as many aspects of Microwave Heating as possible. At the same time we always welcome and appreciate Strategic Partnerships to develop and launch new products for varied applications as we understand clearly that it is through such joint efforts that we shall be able to achieve more; and more importantly contribute much more to the Industry at large.